Amazing place, amazing people! i am so sad i had to leave this place and Florida! Can’t wait to come back! Everyone in the hostel is so nice, helpful (helped me find a place to get a surfboard, helped me order food when to lazy to get some..). Go there, and stay!! obrigada amigos!!! 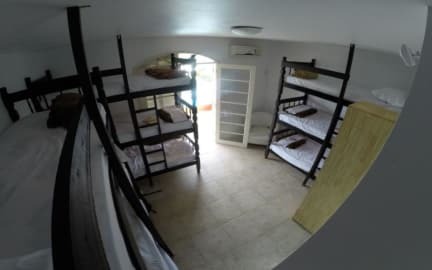 I recommend this hostel, it’s a great and quiet place. It s a good hostel to meet other people due to the common areas. The staff is really friendly. The kitchen is well equipped. Very good hostel and friendly staff. Really closed to the beach.